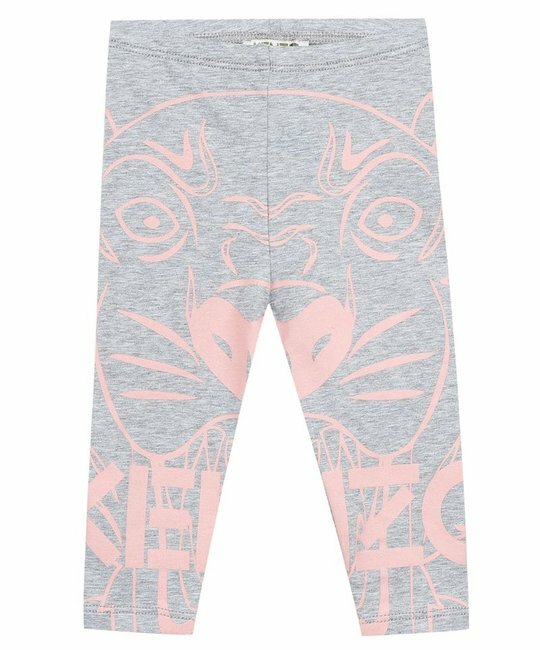 Kenzo soft cotton grey jeresey leggings with pink tinger embellishment. 93% Cotton, 7% Elastane. Made in Morocco.